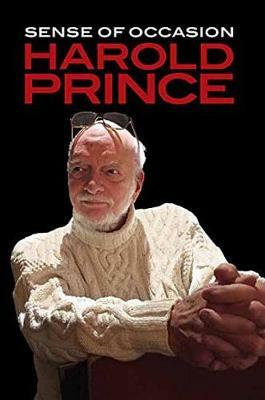 In this fast-moving candid conversational and entertaining memoir Harold Prince the most honored director/producer in the history of the American theater looks back over his seventy-year (and counting!) career.TH In 1974 Prince released his first book EContradictions: Notes on Twenty-Six Years in the TheatreE. Although EContradictionsE has since attained cult status among producers directors and actors alike Prince in hindsight believes he wasn't ready to publish such a tome at that point in his career (in fact doing so was an act of insane arrogance ). Although he doesn't regret that effort he is at last prepared to conclude it to see where I was right in my assessments and where I was wrong. In ESense of OccasionE Prince returns to this seminal text invigorating it with fresh insights cultivated through four decades of additional practice.THESense of OccasionE gives an insider's recollection of the making of such landmark musicals as EWest Side StoryE EFiddler on the RoofE ECabaretE ECompanyE EFolliesE ESweeney ToddE EEvitaE and EPhantom of the OperaE with Prince's perceptive comments about his mentor George Abbott and his many celebrated collaborators including Leonard Bernstein Jerome Robbins Stephen Sondheim John Kander Boris Aronson Andrew Lloyd Webber Angela Lansbury Zero Mostel Carol Burnett and Joel Grey. As well as detailing his titanic successes that changed the form and content of the American musical theater Prince evenhandedly reflects on the shows that didn't work most memorably and painfully EMerrily We Roll AlongE. Throughout he offers insights into the way business is conducted on Broadway drawing sharp contrasts between past and present. This thoughtful complete account of one of the most legendary and long-lived careers in theater history written by the man who lived it is an essential work of personal and professional recollection.